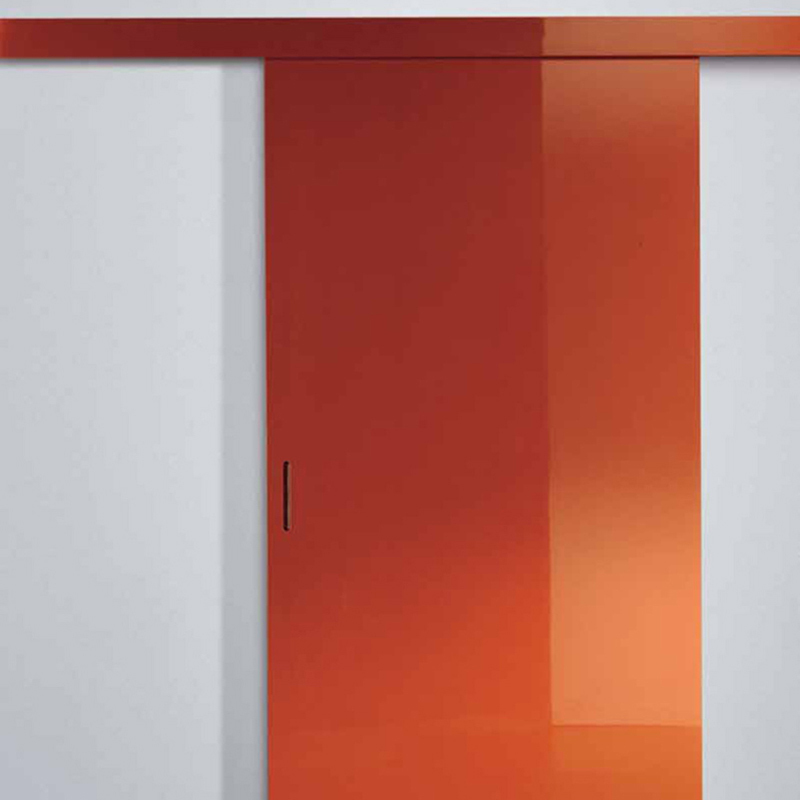 Sliding door with sight rail, completely covered in glossy lacquer with polyester. Available in all RAL colors. Available in custom dimensions. Please contact Usona for further details.